From June 2013 to June 2014, the world will approach the 25th anniversary of China's crackdown in Tiananmen Square in 1989, when the Chinese military opened fire, killing thousands of students and other peaceful demonstrators. We have taken President Xi Jinping's statements as a small opportunity for hope that China, in expanding its role as a world power, will begin to throw off some of its more oppressive practices. Since China's Cultural Revolution literally millions of Chinese citizens have been forced into slave labor camps for offenses related to thought and expression. In recent times these include increasing percentages of innocents, including lawyers who tried to defend their own rights and rights of others, ordinary public who tried to uphold their rights and were abducted and sent to jail to be persecuted; and those who have done nothing more than state their loyalty to their religious leader, His Holiness the Dalai Lama, participate in Christian religions which have not been "authorized" by the Communist Party, or practice Falun Gong, a spiritual meditation system based on the ancient traditions of China itself. 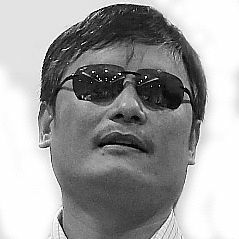 As we approach this historic anniversary, today's world's leaders have the opportunity to distinguish themselves from leaders of the past who, for the sake of economic progress or in the name of "national security," have turned a blind eye to atrocities committed by Chinese leaders against their own citizenry. We ask our leaders to speak on our behalf to President Xi Jinping and the Chinese Communist Party. Tell them what they already know -- that the dream of China can be realized only when its citizens' universal human rights and dignity are upheld and respected. And that the laogai system and the brutal repression of freedom of thought, conscience and speech, the most basic of human rights, will remain a festering sore on the China dream until it is addressed and removed.